Romeo + Juliet (1996) – What's New on Netflix Canada Today! 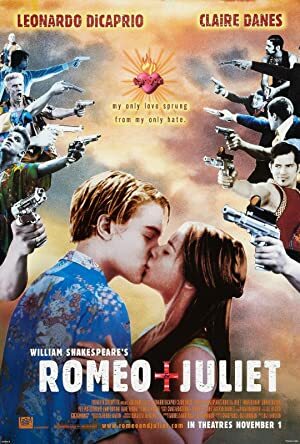 The classic story of Romeo and Juliet, set in a modern-day city of Verona Beach. The Montagues and Capulets are two feuding families, whose children meet and fall in love. They have to hide their love from the world because they know that their parents will not allow them to be together. There are obstacles on the way, like Juliet’s cousin, Tybalt, and Romeo’s friend Mercutio, and many fights. But although it is set in modern times, it is still the same timeless story of the “star crossed lovers”. The bard’s dialogue remains intact in this modern take on WIlliam Shakespeare’s tragedy, as the children of two feuding families are drawn together.